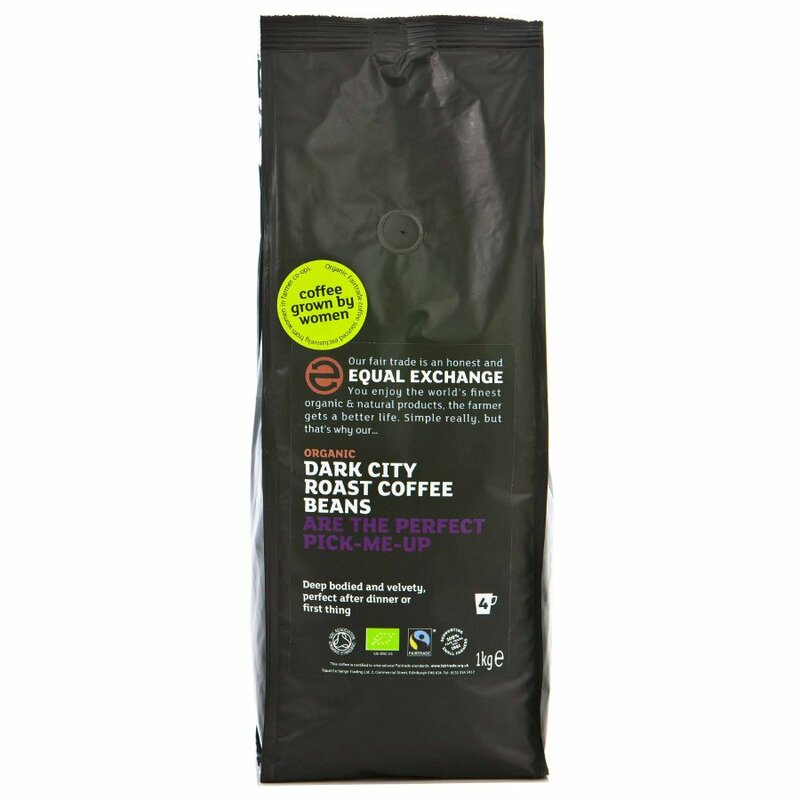 1kg organic, vegan friendly Equal Exchange Dark Roast Whole Bean Coffee, made using fairly traded ingredients. About the Suppliers: The trade developement partners of Equal Exchange empower farmers and their communities to realise their ambitions and dreams through long-term relationships. Farmers value trust. Partnerships based on trust and solidarity are providing: training and market information, guarenteed prices, advance payments, improved selection and quality control. Equal Exchange compromise on principle, and you won't be compromised on taste. This coffee is now part of the ‘Grown by Women’ range from Equal Exchange, and is sourced exclusively from women cooperatives. The Equal Exchange Organic Whole Beans Dark Roast Coffee - 1kg product ethics are indicated below. To learn more about these product ethics and to see related products, follow the links below. There are currently no questions to display about Equal Exchange Organic Whole Beans Dark Roast Coffee - 1kg. Equal Exchange produce excellent quality fair trade and organic coffees, teas, nuts, honey, sugars and oils from food producers working on small farms all around the world. By choosing Equal Exchange products, you make a huge difference to the lives of those farmers in the developing world. Often farmers are victims of unjust economics, but Equal Exchange and their foods seek to turn that around and provide a more sustainable way of life. Even the teas after picking are packed in the same source, providing more work for that local community. Equal Exchange is dedicated to the promotion of Fairtrade and organic production methods, and sells one of the widest ranges of food produce, ticking both the Fairtrade and organic ethical criteria. Equal Exchange is also a workers cooperative, meaning all the employees own and control the company.